No city in the world is without its quirks, just as none is without its positives. Jacksonville is no different, and there are a number of pros and cons of living on the First Coast. I've spent some time recently asking other residents what they consider to be the pros and cons of Jacksonville, and also browsed through a handful of complaint boards. Here's what the majority had to say. This one was overwhelmingly in the pros column but it may find itself in your cons column if you have an affinity for snow. Jacksonville has a very tropical, warm climate with mild winters. The city hasn't seen real snow since 1989, and at times in January, you'll wonder if it isn't Fall. On the flip side, Jacksonville is incredibly hot and humid during the Summer, which can be overwhelming at times, even for local residents who've lived here their whole lives. Although Florida, in general, has a reputation for being a haven for hurricanes, Jacksonville's tucked-away location in the northeast corner reduces the likelihood of the city being hit by a hurricane. In fact, the only hurricane to make landfall in Jacksonville was Dora—and that was back in 1964. No matter where you live in Jacksonville you're likely not much more than a hop and a skip from miles of beaches. Residents in most areas of the city can reach the beach in less than an hour, depending on traffic. The city of Jacksonville operates the largest urban park system in the United States, with 262 designated parks and over 80,000 acres. Each of the parks brings their own qualities, from the calm peace of the various parks in Riverside to the rich history of Downtown's Hemming Plaza, the city's first park. Like to hunt or fish? Jacksonville is an outdoor aficionado's dream, especially compared to other cities its size. The St. John's River is very much the lifeblood of the city, and is often used by residents for fishing, boating, and water skiing. The city is also filled with beautiful golf courses, and the PGA Tour is based in nearby Ponte Vedra, making golf a popular local activity. Jacksonville's place as an NFL City is also etched in stone with the Jacksonville Jaguars. 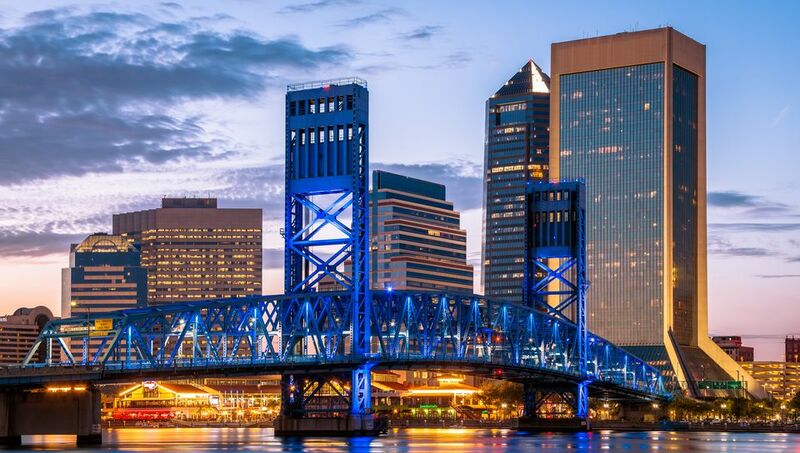 Jacksonville regularly makes the list for major cities with a low cost of living. Housing, particularly in some areas, is impressively affordable when Jacksonville is compared to many other cities on the East Coast. The cost of living is not only lower than the U.S. national average, but it's also lower than Florida average. Considering a move to Jacksonville? Be sure to also check out the cons of living in Jacksonville.